We reached a new plateau this past year. It was our biggest and best year to date. We've heard from countless people about their experiences, new relationships and memorable moments. It's been an amazing journey to this point, and we've put in a lot of work over the last 14 years to get here. We're inspired by everyone that has performed, spoke, mentored, attended, volunteered and given there time and energy to help build this community. We've been able to accomplish many of our goals and today the festival and conference is much bigger than we ever dreamed it would be... BUT we know we've just begun and there is SO MUCH more that can be done. 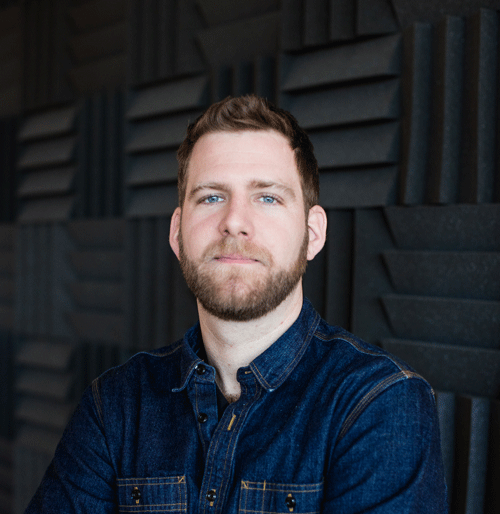 We want to give Atlanta, the culture and our community the best experience possible... and in order to do that, we've decided to partner with two innovative entrepreneurs in Atlanta that share our passion for building communities, creating experiences and showcasing Atlanta's talent, tech and culture. We're proud to announced a strategic partnership with The Gathering Spot and Paul Judge Media Group. 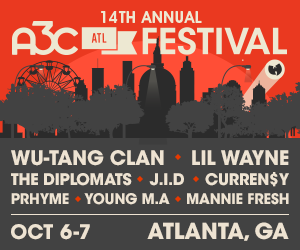 Together, Ryan Wilson - co-founder and chief executive officer of The Gathering Spot, Mike Walbert - A3C co-owner and managing partner, and Paul Judge Media Group will comprehensively expand the event to include new conference tracks featuring tech from today’s leading voices in addition to its existing music, social justice and cultural experience. We will work together to take A3C to a new level. It's an exciting new chapter for A3C, and we look forward to sharing more news and information over the coming weeks and months. 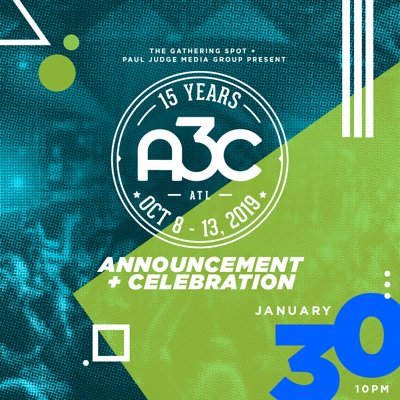 The 15th annual A3C Festival & Conference is October 8 - 13, 2019 in Atlanta, GA.
Join us at The Gathering Spot as we celebrate the launch of 2019 A3C Festival & Conference and the partnership with The Gathering Spot & Paul Judge Media Group.